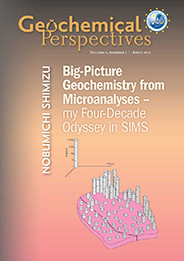 Geochemical Perspectives Letters is a new internationally peer-reviewed journal that publishes short, highest-quality articles spanning geochemical sciences. 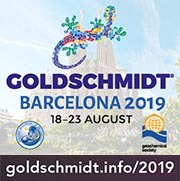 The journal aims at rapid publication of the most novel research in geochemistry with a focus on outstanding quality, international importance, originality, and stimulating new developments across the broad spectrum of geochemical disciplines. 1. Is the overall quality of this manuscript suitable for the journal described above? "Yes" implies that the work is highly original and represents more than an incremental advance in knowledge. If your answer is "no", please explain. 2. Is the content of this manuscript of interest to a broad geochemical audience, not solely to specialists in the immediate field? 3. Is the manuscript written sufficiently clearly that it will be understandable to a broad readership? 4. Does the abstract accurately and effectively convey the significance of the work? 5. Does the evidence presented justify the conclusions? 6. Are the methods explained adequately and data documented in a rigorous manner such that the data quality can be accessed? Is it clear that the data quality are adequate to support the conclusions? Please provide additional comments as necessary. Note that comments made by reviewers are for the attention of the editors only and will not be visible by authors.